“Canto Kaiowá - História e cultura indígena” (Kaiowá Chant - Indigenous history and culture) is an album featuring indigenous chants of the Kaiowá people made and recorded by the anthropologist Pierre Clastres, in the village Jaguapiru, part of the Indigenous Reservation of Dourados. It was recorded and released in 2000. 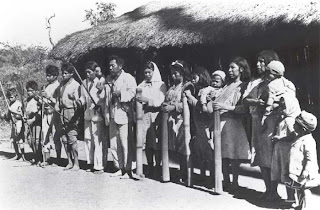 Pierre Clastres said about the Kaiowá: “…in few peoples is witnessed a religion so intensely lived: ‘we want to be gods’, they say; ‘but we are only men’”. Three aspects of Guarani life express an identity that gives them a specificity among other indigenous peoples, shaping and creating a “Guarani way of being": a) the ava ñe'ë (ava: Guarani person, man; ñe'ë: a word that is confused with "soul") or speech, language, that defines identity in verbal communication; b) the tamõi (grandfather) or common mythical ancestors and c) the ava reko (teko: "being/essence, state of life, condition, custom, law, habit") or behavior in society, which is sustained through a mythological and ideological framework. 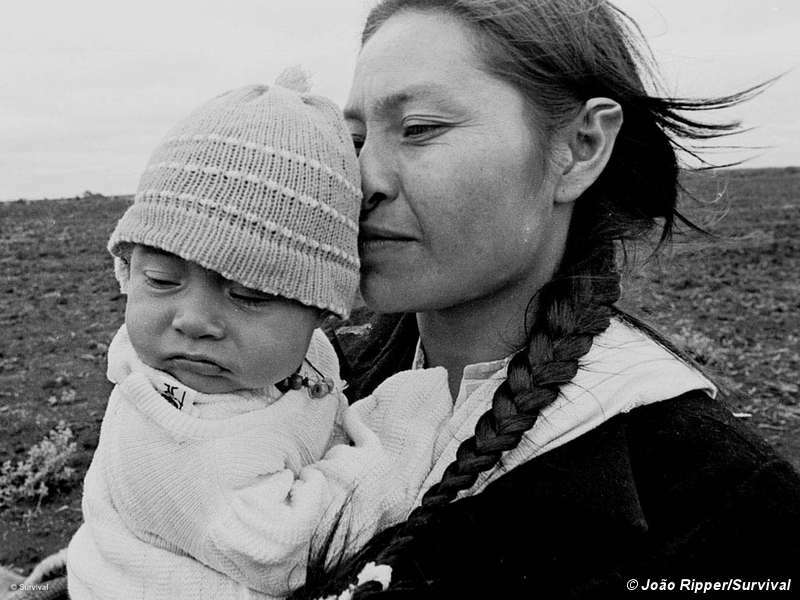 These aspects inform the ava (Guarani Man) how to understand experienced situations and the world that surrounds him/her, providing guidelines and reference points for his/her social conduct (Susnik, 1980:12). There are, however, differences among the Guarani subgroups living in Brazil – the Ñandeva, Kaiowa and Mbya, differences in the linguistic forms, customs, ritual practices, social and political organization, religious orientation, as well as specific forms for interpreting the reality they experience and for interacting according to situations in their history and their present-day circumstances. This entry provides information specifically on the Ñandeva and Kaiowa groups. There is a specific entry on the Mbya Guarani. The ceremony in itself, guided by a religious leader, begins at sundown and ends at dawn on the following day. 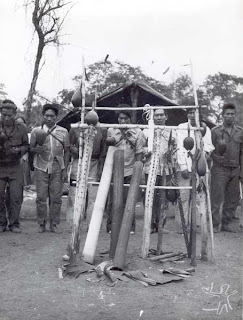 This shaman must know the mborahéi puku or “long song”, the verses of which, not repeated, cannot be interrupted after the ceremony has begun. Each verse chanted by the ñanderu is repeated by the community, always accompanied by the mbaraka made and used by the men and the takuapu used by women. At dawn, having finished the mborahéi puku (long song), there is the baptism of the harvest (manioc, sugar cane, pumpkin, sweet potato, corn etc. ), which has remained on the altar. On the following night the ceremony of avati kyry continues with songs and secular dances, the kotyhu and the guahu, performed by the whole community and by many visitors who participate in the ceremony. With IHU, Todos os Sons ..., Brazilian singer and musicologist Marlui Miranda brings the world of the rainforest, the still-esoteric culture of the Brazilian Indians, into musical settings which could be called modern. 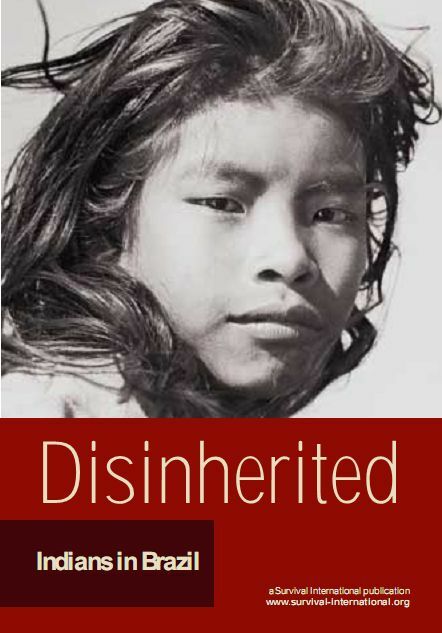 But the term is deceptive: the reality of Brazil's indigenous peoples, even if cut off from the world of wires and info glut, is as real and "contemporary" to the touch as anything else extant in the late '90s. This is a fascinating project, celebrating music of organic, rootsy appeal from a country which is as much a crossroads as anywhere in the world. 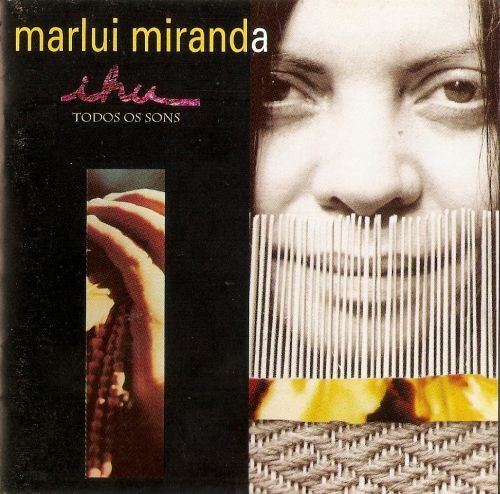 Miranda, who has composed music for various media and performed with Egberto Gismonti, Gilberto Gil and Milton Nascimento in addition to her many years of studying the indigenous Brazilian Indians, has brought together the native and urban cultures with a rare degree of success. The album, supplemented by guest appearances by Gil, Uakti, keyboardist Bugge Wesseltoft and others, has native chants and songs as a foundation, arranged with an eclectic sensibility. The album starts with the festive fire of "Tchori Tchori," from the Jaboti Indians, and closes with the fairly epic, 13 minute piece "15 Variacoes de Hai Nai Hai," based on festival rituals of the Nambikwara Indians. "Ihu" translates to a broad definition of the word "sound" from the Kamayura Indians, referring to the fabric of being. To this end, Miranda has created a respectful tapestry that is modern in more ways than one. This extraordinary CD is everything the other reviewers had noted but more. The arrangements are all varied and invocative of other musical idioms while remaining Amazonian at its heart: Steve Reich's pulses, Terry Riley's syncopations, Mississippi blues, Navajo slow dances, Aleut mouth music, tropical forest ambiance and bird sounds, Bulgarian women's chorus. Each bend of the river provides surprises of new sounds, feelings, rhythms, patterns. Neither ethnographic field recordings nor cheesy pop tropical impressions, Miranda's music captures the wide scope of the native populations. And as the CD progresses, we feel going deeper into the land, farther away from urban influences. In short, this recording is magical, modern in its inventiveness yet ancient, and important both for preserving the spirit of the native peoples but also for ourselves. This recording will refreshen your life. ~Dr. Debra Jan Bibel "World Music Explorer"
The movement for tribal peoples. Survival is the only organization working for tribal peoples’ rights worldwide. We work with hundreds of tribal communities and organizations. We are funded almost entirely by concerned members of the public and some foundations. We will not take national government money, because governments are the main violators of tribal peoples’ rights, nor will we take money from companies which might be abusing tribal peoples. About 250,000 supporters from nearly 100 countries have helped us financially; millions now routinely seek our information, published in seven languages. We never restrict our information or materials only to those who can pay. We want everyone to know about tribal peoples. As músicas são cantadas por grupos de crianças de quatro aldeias Guarani: Sapucai, na cidade de Angra dos Reis; Rio Silveira, em São Sebastião; Morro da Saudade, na cidade de São Paulo e Jaexaá Porã, em Ubatuba. As gravações foram realizadas na aldeia Jaexaá Porã. Todas as músicas têm por tema a espiritualidade. Os índios Guarani contam que as crianças são puras e seu Deus, Nosso Pai Nhanderu, envia esses cantos diretamente a elas. Contemporary composers take the music of the Guarani Indians into modern studios, combining a children's chorus with sleek instrumental backing. The music is kind of "simple," compared to other Brazilian styles, but there's a sweetness and sincerity to this project that makes it kind of nice. This compilation features music and vocals from the jungle-dwelling Guarani culture of Brazil. 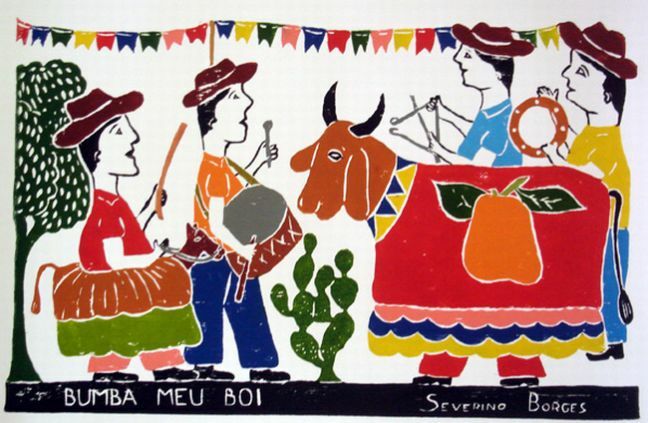 Unlike the sophisticated sounds of Brazilian composer Antonio Carlos Jobim, or the tasteful explorations of such artists as Trio da Paz or bassist/composer Jorge Degas, this album is more of an ethnomusicological field recording, documenting authentic folk traditions in their purest forms. 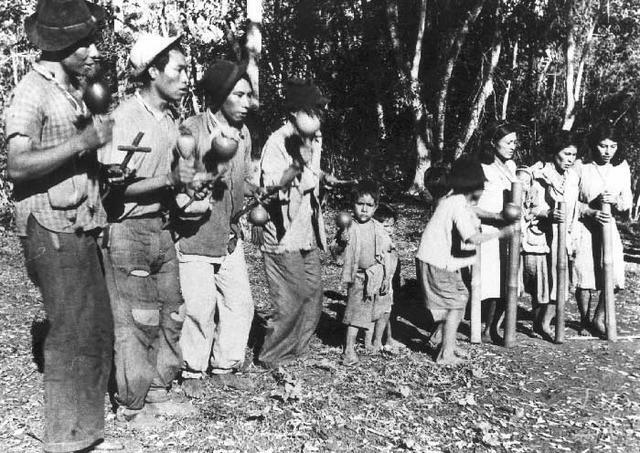 Children sing many of the songs, accompanied by sparse indigenous percussion and stringed instruments. The song forms are often simplistic, like much of the world's folk music, with unencumbered arrangements and vocals sung in unison. But this articulate recording goes far in capturing a peoples' authentic musical tradition, and hence is important at the very least, for its anthropological and cultural contributions. If only the label had included an English version of its extensive liner notes, (along with its quaint children's drawings), listeners would be even more enriched. MÚSICA - Outra prova de que a cultura indígena está sendo preservada é a música. 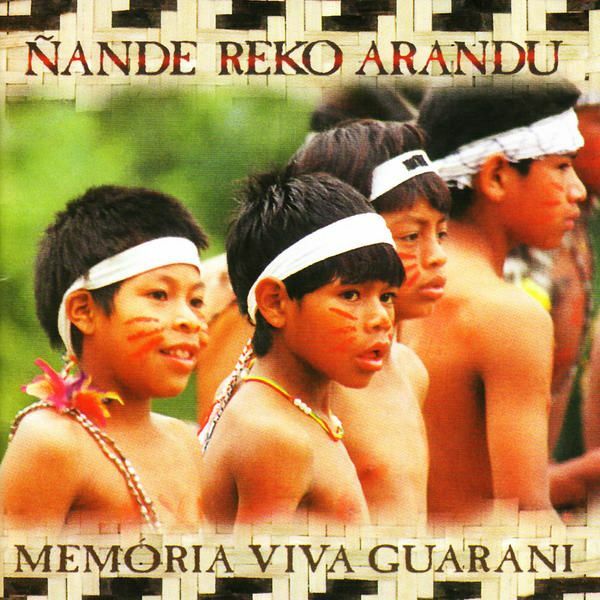 São Paulo e do Rio de Janeiro, lançaram o CD Ñande Reko Arandu (Memória Viva Guarani), composto de canções infantis indígenas, algumas de temática religiosa. 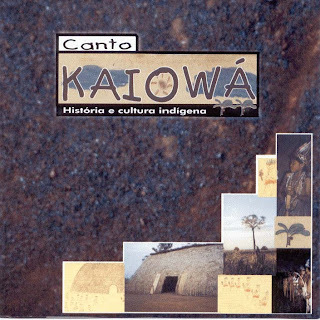 Para manter a originalidade, o CD foi gravado por um grupo de 120 coralistas e músicos das aldeias indígenas, em um estúdio móvel. 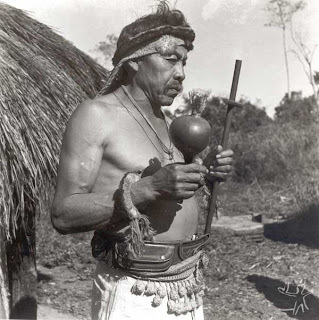 Todos os instrumentos utilizados também fazem parte da tradição guarani, como chocalho, violão de cinco cordas, rabeca de três cordas e tambor. O sucesso atingido com o CD rendeu aos guaranis apresentações por todo o país - e o reconhecimento internacional. Em julho, parte dos integrantes do grupo participa do Festival d'Eté de Nantes --na França -- , que este ano escolheu como tema Brasil e culturas lusófonas. A primeira prensagem do CD saiu com 5.000 cópias e esgotou em dezembro de 1999. No início deste ano, outras 5.000 foram colocadas à venda. Uma segunda coletânea já vem sendo preparada pelas aldeias. The biniou koz ("old bagpipe" in Breton) or biniou bihan ("little bagpipe") is traditionally played in pair with the bombarde (see below). The two players are referred to as sonerion (in Breton) or sonneurs de couple (in French). The biniou (as it is referred to these days) is a mouth-blown bagpipe with one drone. It is high-pitched (an octave above the Scottish Highland bagpipes), with a range of ten notes. 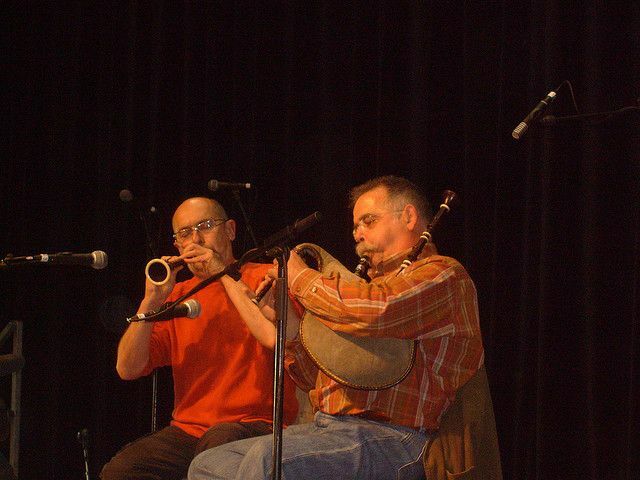 Its tuning has varied from one area of Brittany to the next (it can be found in the keys of G#, A, B, or C), and Bretons continue to research the history and diverse use of this instrument. The bombarde has a range of two octaves with its lower range pitched an octave below the biniou. The biniou provides a continuous sound due to the steady supply of air from the bag to both the drone and chanter. The chanter is only 5-1/2 inches long with 7 finger holes; the single drone is approximately 14 inches long. While the biniou and bombarde pair is found today throughout Brittany and performed by some 400 pairs, it has been traditionally found in the southwestern and south central part of Brittany where its practice remains strong. The style of paired playing found today has been well documented as far back as the turn of the 19th century, although there are references and visual depictions indicating that these two instruments might have been played in pair at least as far back as the 16th century in Brittany. In earlier times a drum was also commonly found to form a trio, although today this is rarely found. In past centuries sonneurs were often professional musicians (at least part-time) who were hired for weddings, fairs and other public events. Except for very rare exceptions, biniou and bombarde pairs have been men. The bombarde is a member of the oboe or shawm family. Describing it as an oboe, however, can be misleading since it has a very powerful sound, more closely resembling a trumpet. The bombarde is played as oboes are played with the double reed placed between one's lips; the second octave (unison with the range of the biniou) is achieved with lip pressure. In contrast to the continuous sound of the bagpipe, the bombarde is capable of stacatto which makes it particularly effective in pair with the biniou. This is an instrument that has been in constant evolution with many different keys developed as well as milder versions (lombarde, piston) developed for use in ensembles. 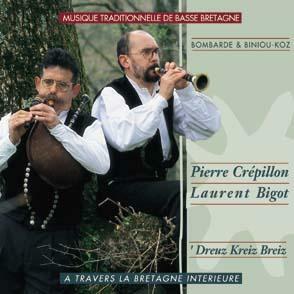 Today, both the biniou and bombarde are played in combination with an unlimited number of instruments (saxophone, fiddle, flutes, electric guitar, percussion from all over the world … ) or with voice in fest-noz bands, rock groups and ensembles of all styles - in arrangements of traditional Breton dance tunes and airs or new compositions. 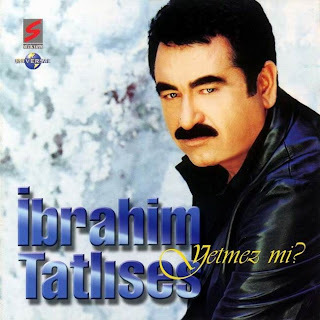 İbrahim Tatlıses is a singer born in the city of Sanliurfa. 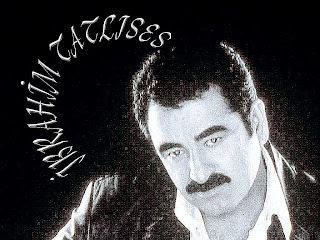 Tatlıses has been involved with 38 albums, including Ayağında Kundura and Selam Olsun. He hosts the television programme İbo Show and has appeared in several dozen films. İbrahim Tatlıses was born of mixed Arab and Kurdish descent. Tatlıses was raised by his mother. His father died when he was a young child. He began singing at weddings and other events during his teens. He released an album in 1975, and Tatlıses temporarily left music. Moving to Istanbul with his family in 1977, he then worked as a salesman while recording his second album, Ayağında Kundura. 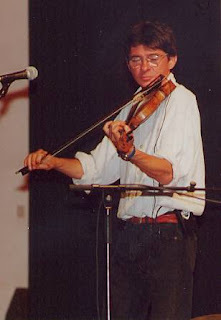 In the 1980s, he recorded numerous folk dance songs with the accompaniment of an orchestra in the rural uzun hava style. Tatlıses initially stood as an MP candidate in the 2007 general election but lost. On Monday March 14 2011, Ibrahim Tatlises was shot in the head after a performance for his weekly show. The assailants quickly shot out of a black vehicle and sped away. He underwent surgery to remove the bullet and is now in critical condition. He is still under intensive care and is under risk of being paralyzed on his left. Ibrahim Tatlises is known as the "Turkish Pavarotti"
The pairing of the bombarde with big church organs dates back only to the 1970s but has become a tradition of its own. 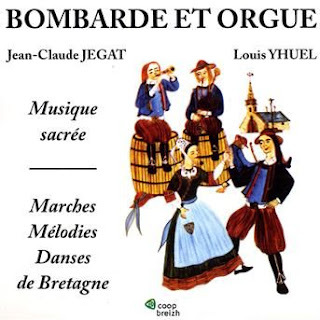 Often the repertoire includes a number of Breton cantiques or hymns, but this pairing is also used for dances and new compositions, and more recently the biniou has been added to make a trio, and you also find bombarde paired with piano. Jean-Claude Jégat & Louis Yhuel. Pioneers in this genre with many recordings in the 1970s and early 1980s on lp. 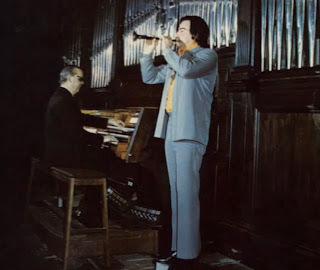 On reconnait ici une référence tant au niveau des artistes, (Jean-Claude Jégat et Louis Yhuel), que de leur virtuosité. A sa sortie, ce coup d'essai fut un coup de maître, et l'association des deux instruments, l'un sacré, l'autre profane, est une réussite. Cantiques bretons et gavottes se succèdent et s'harmonisent simplement, naturellement. Un Véritable Chef d'Oeuvre ! 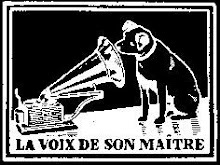 Ce CD est un véritable bijou de ce que peut représenter l'Art de la musique à l'état pur. Monsieur Yhuel Organiste Titulaire des Orgues de la Collégiale de Guérande,jouer avec brio tant la musique bretonne que les grandes musique classiques...l'Alchimie avec Monsieur Jégat est une pure merveille! 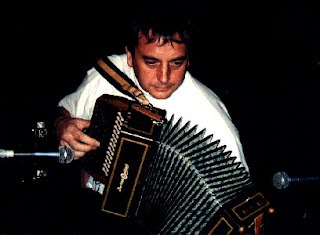 The artist says: "For me the diatonic accordion and Breton music are universal. Swing, melancholy and harmony... My music is deeply rooted, but it is nourished from all sources, from every encounter." "An accordion. A violin. A microphone. No tricks. We play, that's all." 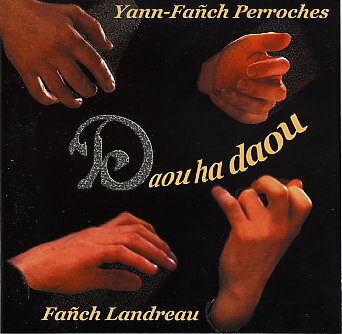 Such is the declaration made by Perroches and Landreau on the cover of their new CD. Daou-ha-daou provides a lesson in the texture that can be created by two musicians without the benefit of overdubbing or an arm's length of guest players. Veterans of the leading Breton band Skolvan, these two share a rare understanding and sympathy, and succeed in weaving many a pretty web around the template of traditional and original melodies from their region. First a tune is established, by one instrument or sometimes both (the unison playing is telepathically tight), then the accordion basses begin to syncopate and extend the chordal background into jazzy territory. The fiddle soars and dips around the basic melody, delighting with its delicate improvisations. The comparison with England's Chris Wood and Andy Cutting is an obvious one, but there are other points of reference such as the Arctic soundscapes of Finland's queen of squeeze Maria Kalaniemi, whose influence is heard in the dissonant chords filtering into the "Suite Gavotte," as well as in Yann-Fanch's tribute "Maria," an air with a powerful sense of open space. Generally the mood of this entirely instrumental CD is one of reflection and melancholy, with minor keys and broken rhythms predominant, although "Les Rats d'Eau de St. Malo" works up quite a head of steam with some Quebec-style foot percussion. The beautifully crafted music deserves repeated listening by anyone who appreciates fine playing, but it can also serve well as an atmospheric backdrop. With Daou-ha-daou, Perroches and Landreau offer another great example of the current strength of European traditional music. Guillermo McGill: drums, percussion and darbuka. A new alliance between flamenco and the piano, among istrumental and vocal songs, Juan Cortés shows his skills to develope a wide complexity of styles with the collaborations of Montse Cortés, El Ciervo (cantaores) Jorge Pardo (saxo)y Bernardo Parrilla (violín). 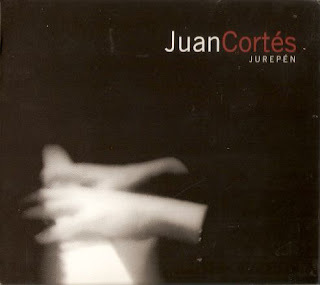 The young flamenco pianist Juan Cortés who learned to play listening to Paco de Lucía and cut his teeth playing live with jazz artists like Guillermo McGill, Chano Domínguez and Jorge Pardo, has recorded his first record, "Jurepen", based primarily on flamenco but impregnated with the music of those he has worked with throughout his career and who have collaborated on this recording. Transportar la guitarra flamenca al piano, trasponer la armonía de la guitarra, con los seis tonos distribuidos de forma inconfundible, en el arpa de un piano, recrear en fin las seis voces de la reina del flamenco, la guitarra, sobre el teclado del instrumento rey, es una tarea difícil y arriesgada, y el ideal de un buen número de "pianistas flamencos" que han decidido adentrarse en las veredas de la música española y recorrer los caminos múltiples del flamenco. 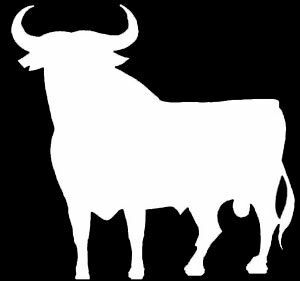 En el caso de JUAN CORTÉS, partiendo del flamenco, se enriquece pronto con el mejor piano de jazz y latinjazz, para regresar a lo jondo por derecho. "I had a very clear idea about how I wanted to record the piano, that it had to sound fresh, and it was recorded in eight days. Some things were practically recorded live, top to bottom. Basically it's a live recording, I wanted it to sound as natural as possible, with the musicians that have always surrounded me." "Flamenco has always been special for me.."